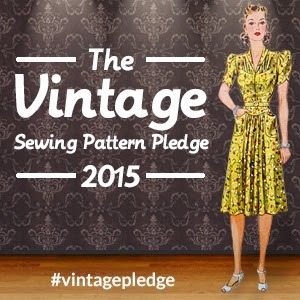 Bobbins and Bombshells: Anniversary Give Away! Bobbins and Bombshells is celebrating it's first anniversary this month! I am thrilled to celebrate by teaming up with my favorite make up line Pin-Up Cosmetics for my first blog give away! One of my first blog posts was a review on Pin-Up Cosmetics so this is a great way to celebrate the past year. 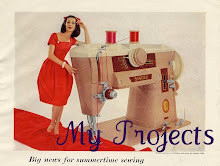 *In the comments section of this post let me know your favorite Bobbins and Bombshells blog post from the past year. *Also include a way to contact you via email if it's unattainable through your comment identity. *Please enter by June 29th. *On June 30th all entries will be put on paper and mixed in my vintage ice bucket. One lucky winner will be drawn at random. *On June 30th the winner will be sent an email. If the winner doesn't respond within 3 days with mailing address a second winner will be chosen. *Prize will be mailed first class mail. International entries are welcome! *One Floral Shimmer. A great way to enhance a sun kissed look this summer! *One lipstick in my favorite shade; Oh So Red! *One mini Victorian style mirror! thank-you! Don't forget to comment on your favorite post of the past year to be entered in the contest! Well, I'm a new reader, but I loved (and appreciated!) the Bump-Its post of a while back. Speaking of which, you tried 'em out yet? great contest and thank you! Happy Anniversary! I really enjoyed the Orry-Kelly post. I had never heard of him before, either, though I certainly recognize his designs from the movies you listed. Another new reader here- I love the pictures of roses at the botanical garden! Yea!! Congrats Karen! A year is a huge milestone. Thanks for posting a great blog! Thanks Katie! I'd love to enter you in the contest so please comment on your favorite post! This is my first time on your blog and to be honest, after browsing the first page, I'm having a hard time choosing my favorite. 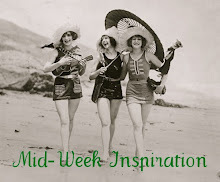 I love the vintage swim wear post and the latest post about 30's predictions for fashion. And the parasols. And that Alvara painting. I came here lusting for a giveaway, but now I can't NOT follow your blog. I'm a fan of your Midweek Inspiration posts. Particularly (more recently) the "Mercura Cigarette Holders" post and the "In The Line Of Fashion" post. Happy anniversary! 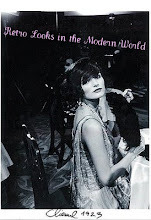 I loved reading this post about your 1920's outfit for the gala, so beautiful! I'm so glad I found your blog! I went back adn read nearly all of them! HA! this one is my favorite becaues I LOVE sunglasses, and because you featured my friend Archiva's Shop, and I hope it got her page views! thanks again, I am off to find the follow button on your page. So glad I found you. CONGRATS ON YOUR 1ST ANNIVERSARY!! The video is just hilarious, and some trends are eerily accurate... that mesh dress looks just like the Alexander Wang!!! Plus all the shoulder pads - so Gareth Pugh. Loving it! i collect these necklaces religiously! This article is so-so my style...I love those years, and the photo...adorable. Great muse for inspiration. The 1930s fashion predictions has been my faourite so far. I can't believe how spot on they were about some things. Happy Anniversary! I love Pin Up Cosmetics! 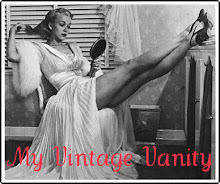 I just did a post about vintage-inspired makeup, and included them, of course! :) It was actually your blog post about them, that introduced me to the brand. I've only been a subscriber for a couple of weeks ago, but followed a link to the older post. Happy Anniversary, P.S.! Love your blog. Thank you all for your nice comments and feedback so far! Thanks Diana for posting about pin-up cosmetics. I love the make up line and wear it everyday. The lucky winner of this contest should be very pleased!! I cant get over how amazing your outfit was. I'm in obsessed with it! I really like your vintage finds!! I have to admit that I only just started reading your blog, after stumbling across it after falling in love with your etsy store. I am glad to have discovered both blog and store! And, my e-mail is fabulousfindsandco@cox.net. My favorite blog is http://bobbinsandbombshells.blogspot.com/2008/12/vintage-finds-of-week-cocktail-hats.html I've always loved cocktail hats. The most eye catching post for me would be the vintage parasol post! My favorite favorite post is the recent post you did on the sun suit and cover up you are making. I love to see what you are making and the process! Much love! Happy Anniversary Karen! I love the post (March I believe...) about vintage buttons. I love them! I want them! well, it was going to be Esther Williams but my new favourite post, as a cyclist and vintage queen, my new fave is bike riding in the rain - just lovely.